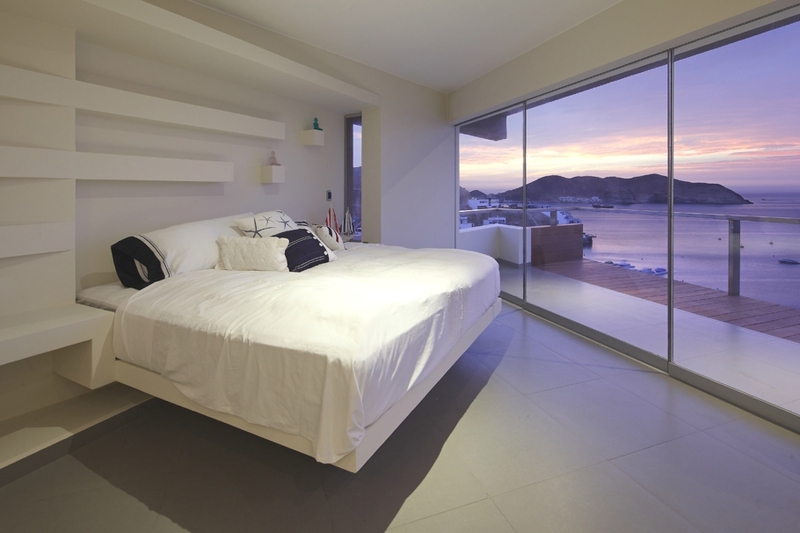 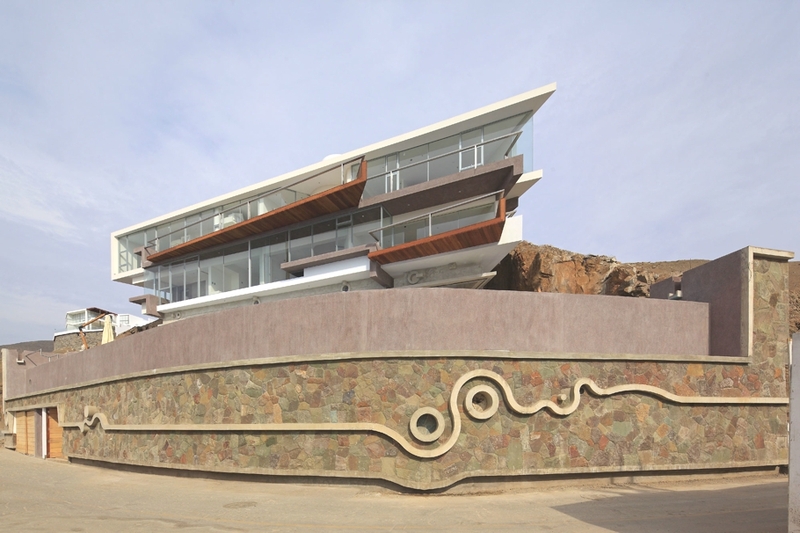 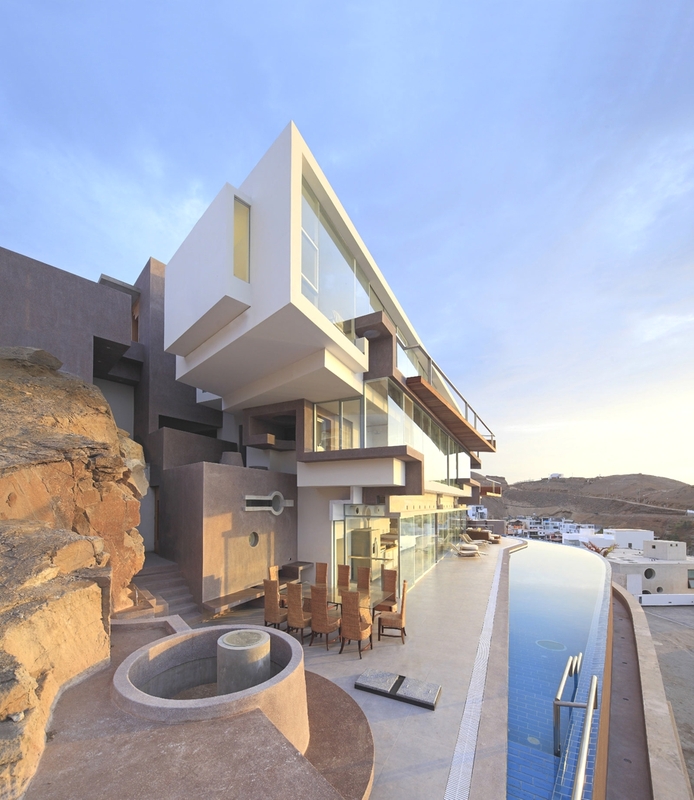 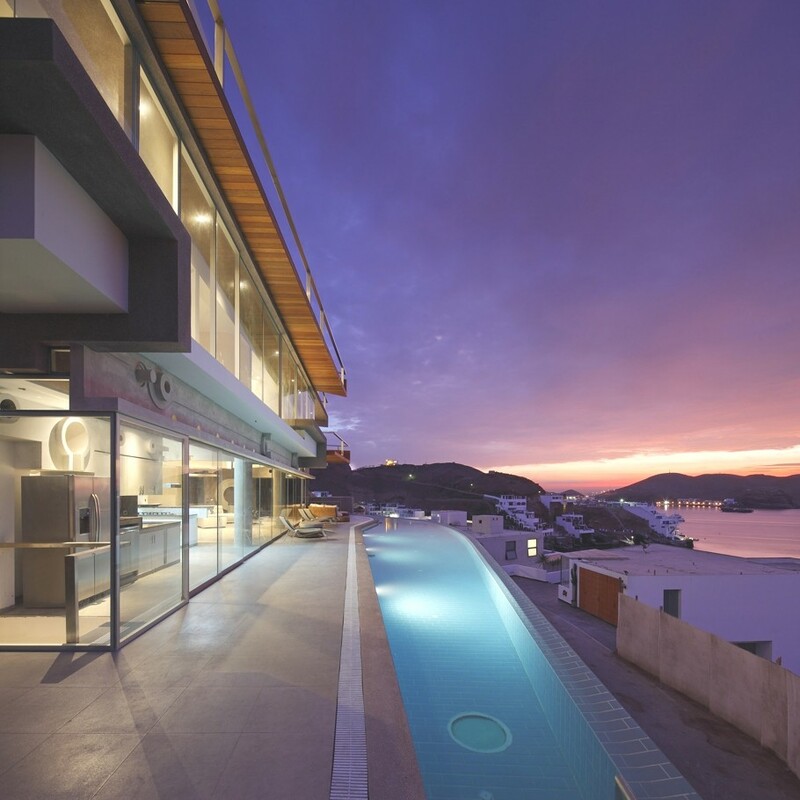 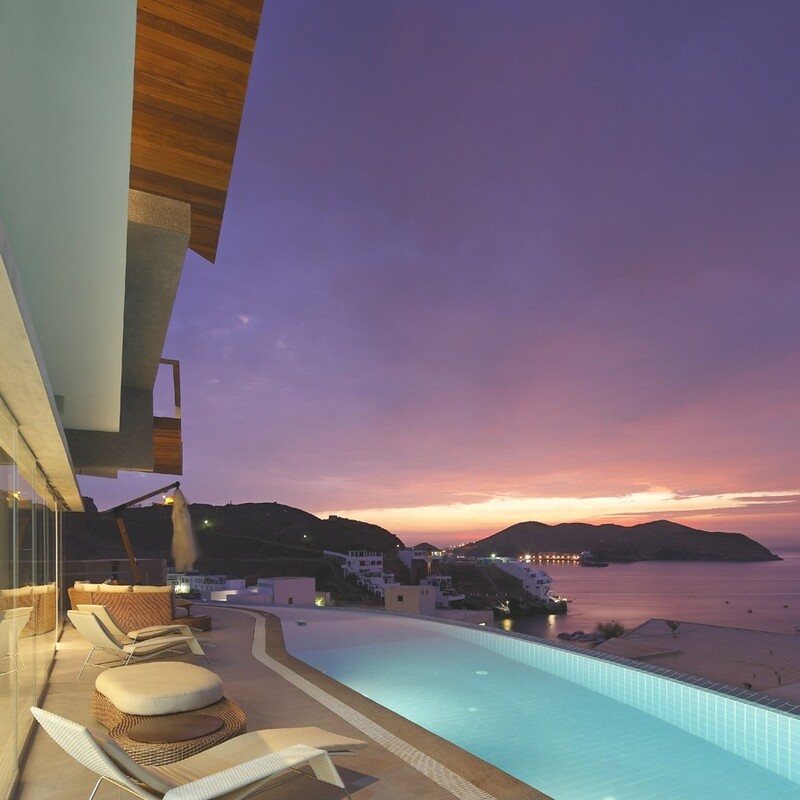 Lima-based architectural practice, Longhi Architects, has designed the Veronica Beach House project. 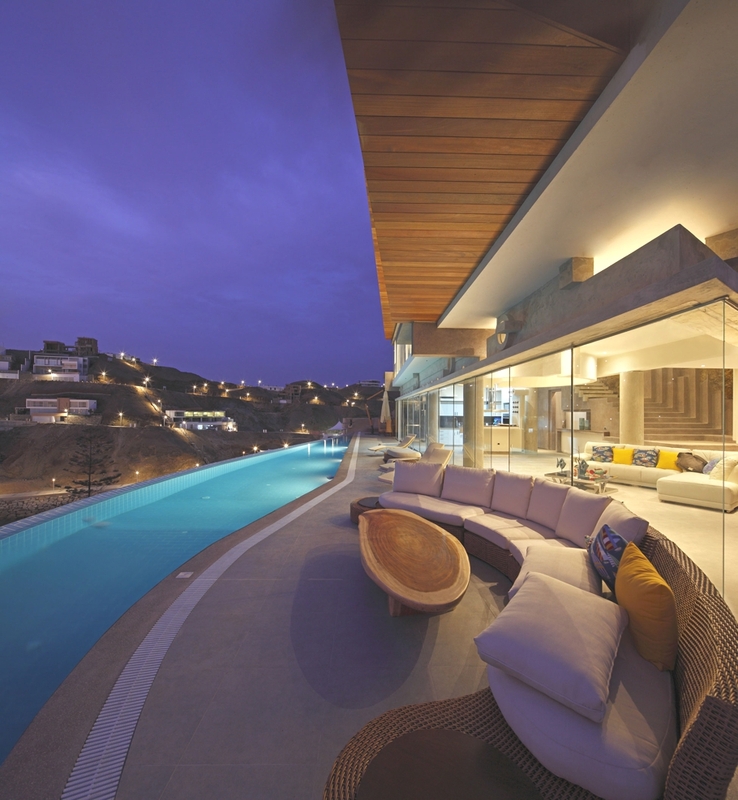 Completed in 2014, this modern family home is located in Lima, Peru. 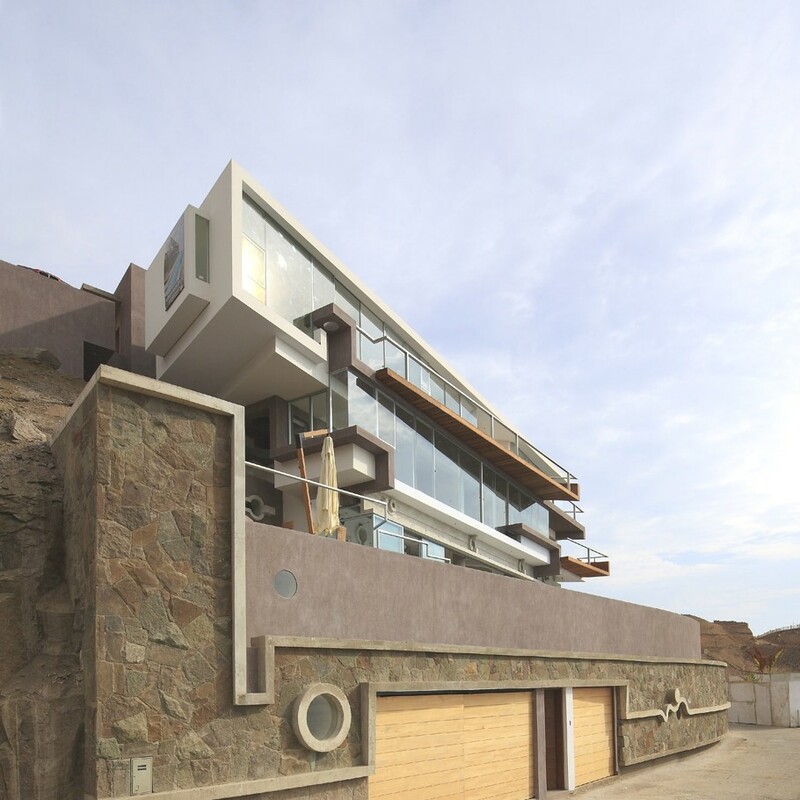 Veronica house was an opportunity for the architect to explore his search of Peruvian architecture in a context that is related with international style. 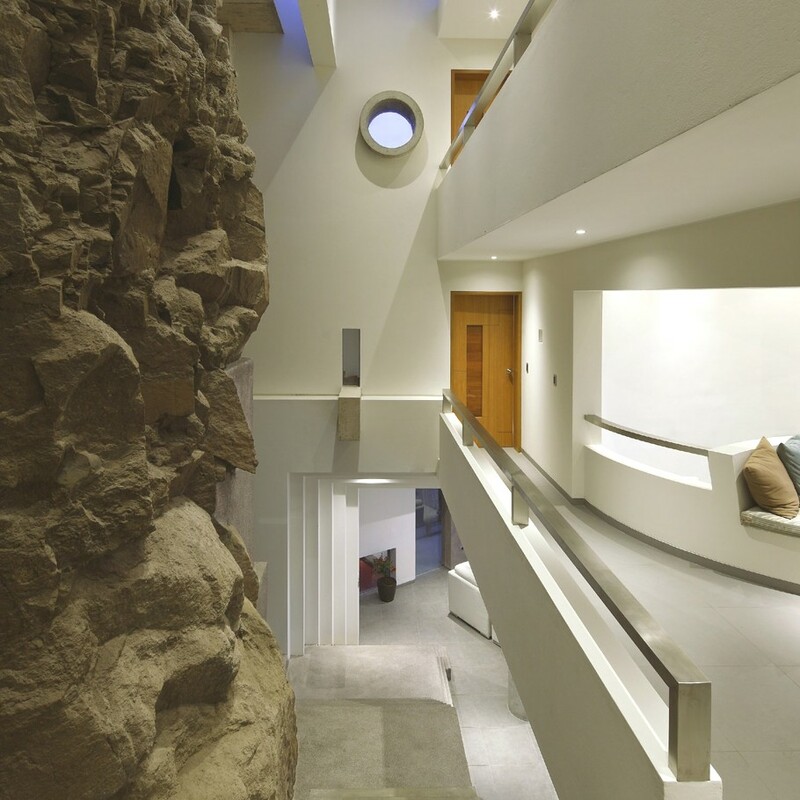 According to the architects: “This project was seen as the happy meeting between the artificial and the natural. 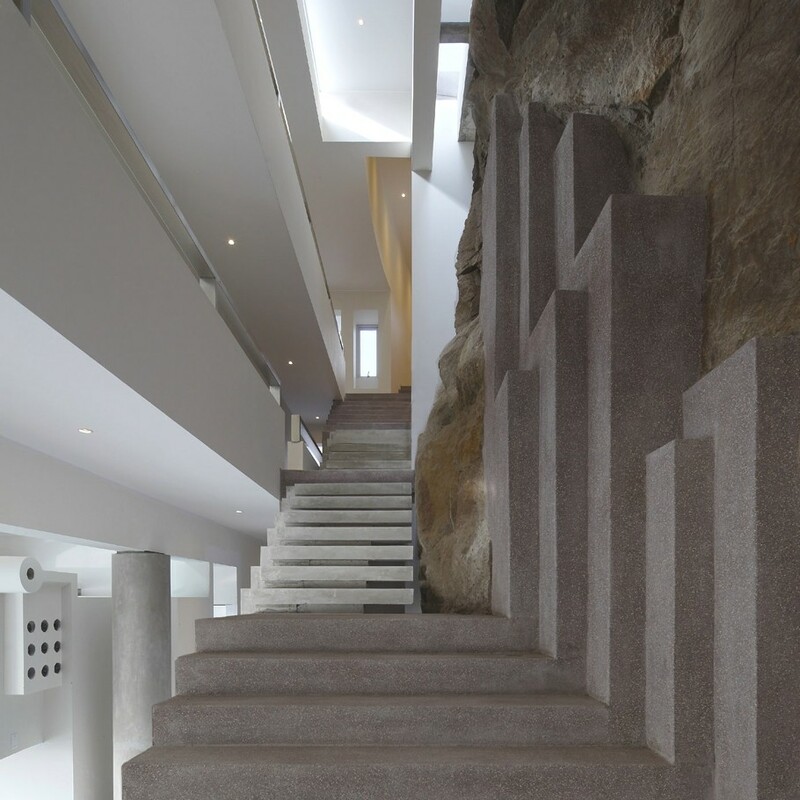 “The pool, which is almost 40 meters (131 feet) long and the staircase, which is over several levels are the main architectural landscape elements that allowed integration with the place – always seeking a balance between the natural (rock site) and artificial represented by the same architectural elements. 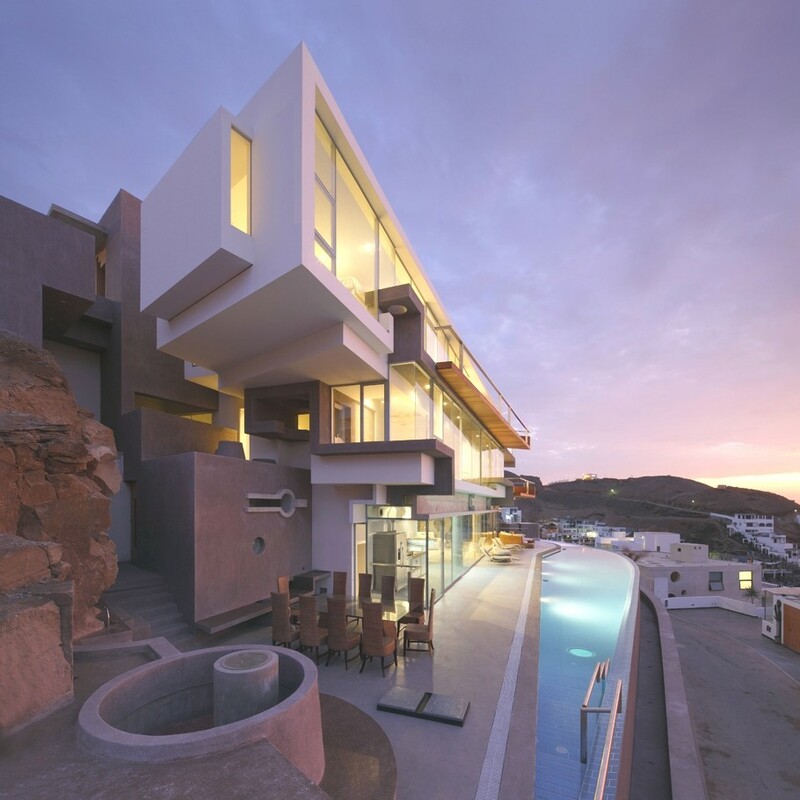 “The social area can be found at the terrace – swimming pool level on a raised platform , carved into the hill, it has a glass enclosure that is based on a rail system allowing all partitions to come together on the north side of the house, making integrated environments – living room, kitchen with terrace and pool. 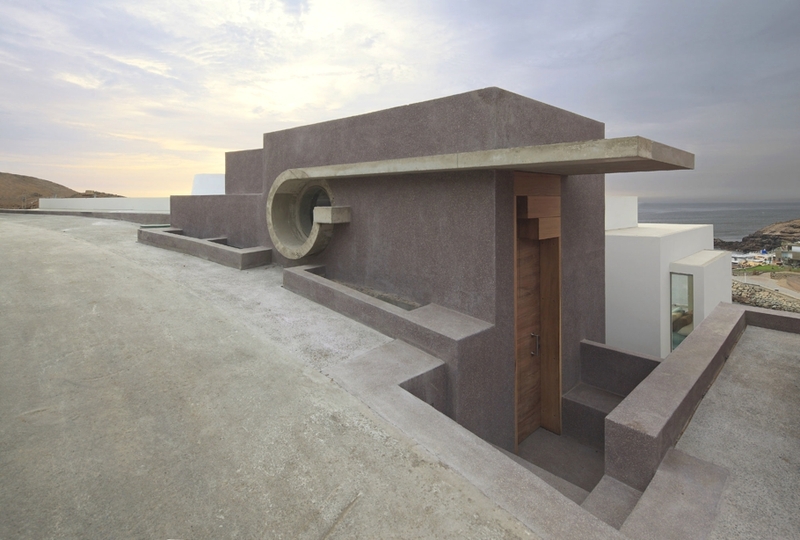 Intimate areas are accommodated in a volume of two levels that ‘float’ above the terrace. 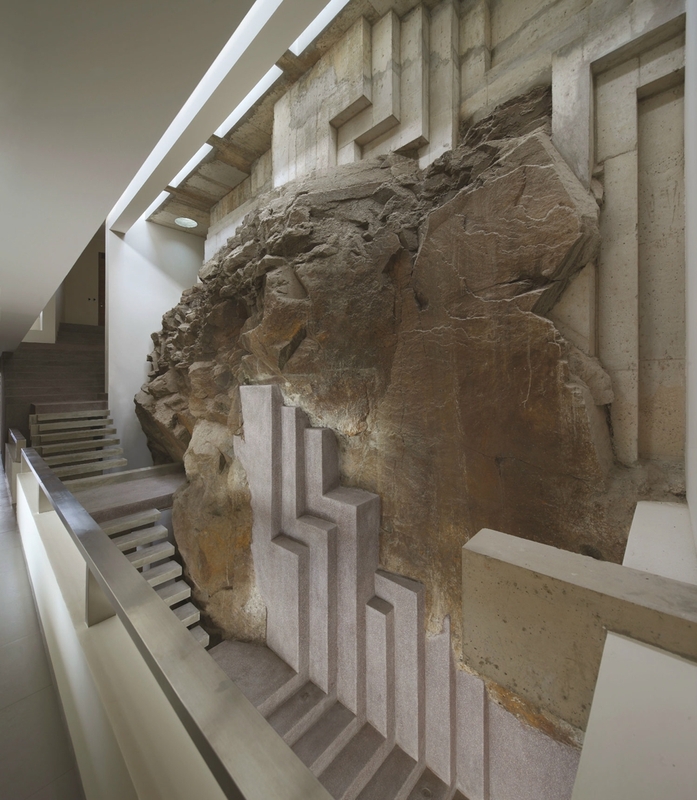 “This volume generates a nice architectural dialogue with the rock side both north and south of the lot, with a bulk composition that could be interpreted as the geometrization of the nature of the place. 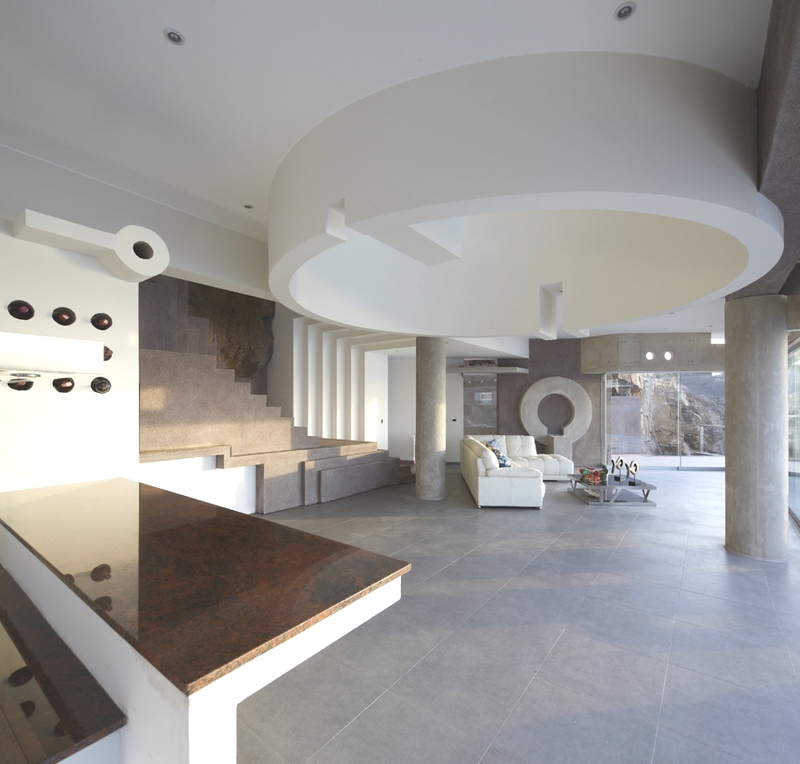 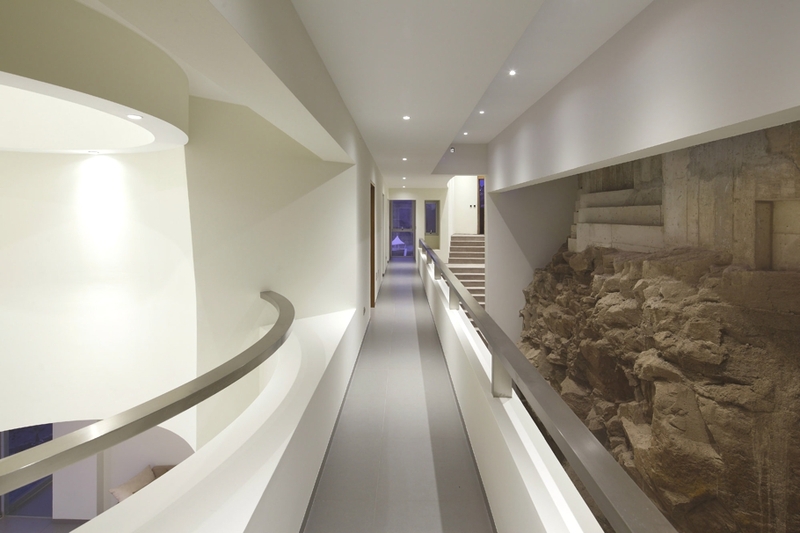 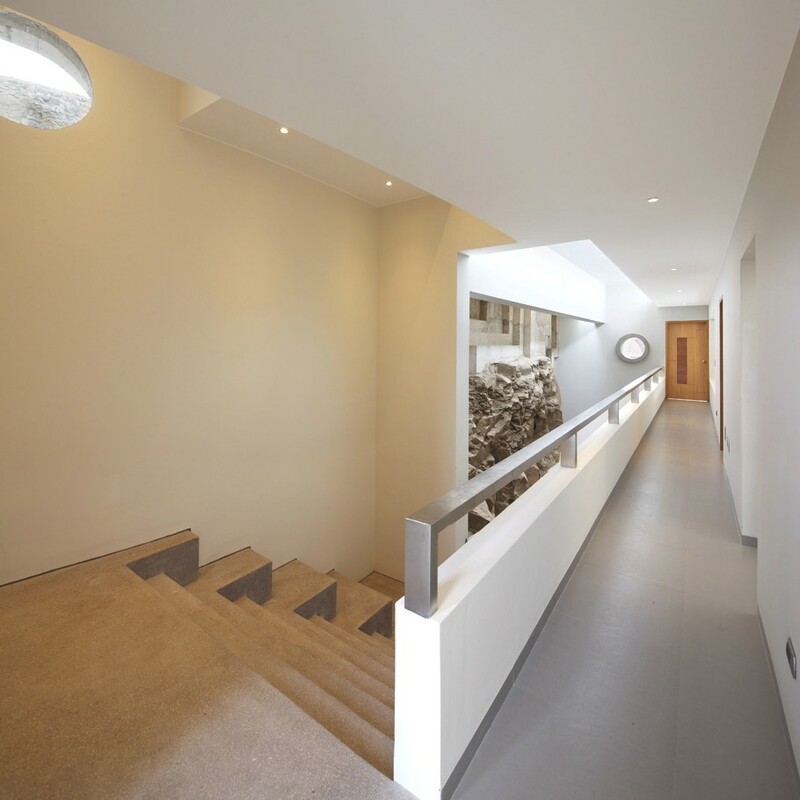 “The interior design of the house is incorporates the use of five main materials, including wash and polish Granite, with colours derived from natural rock context. 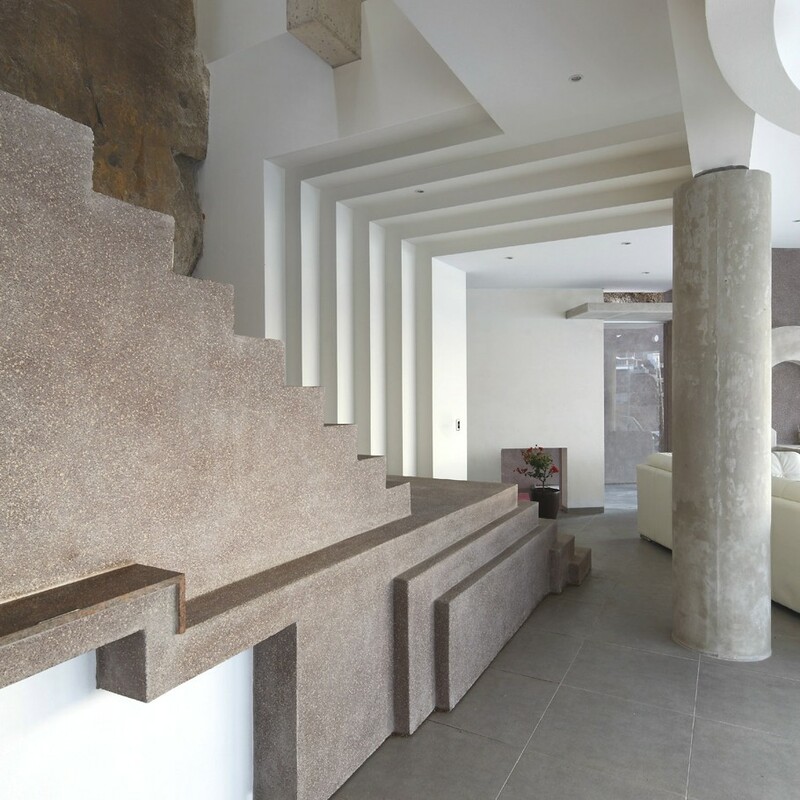 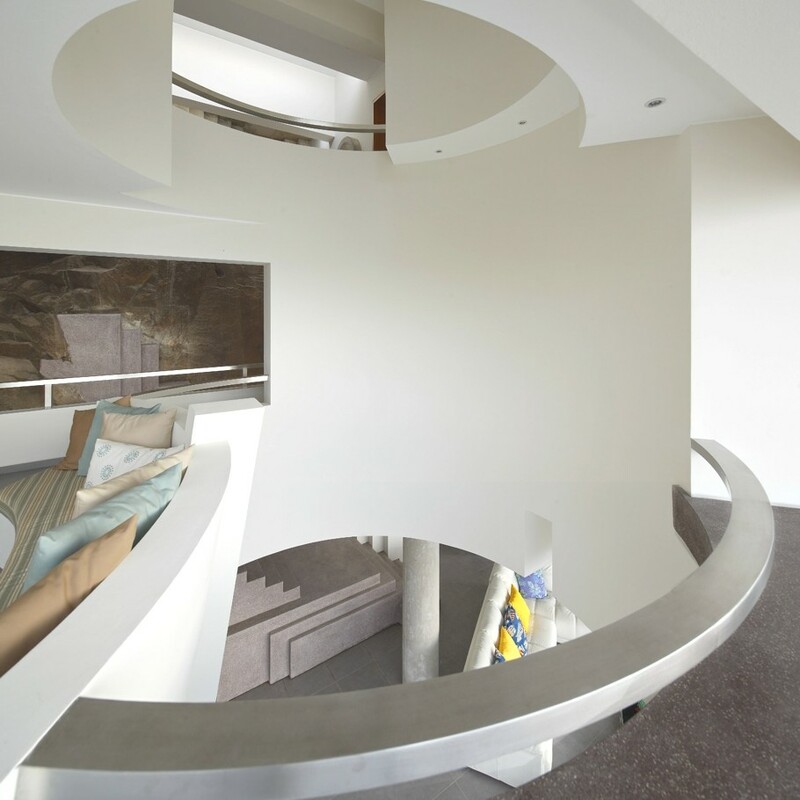 “Exposed concrete, applied to specific architectural elements, such as an artistic beam that supports the glazing system at the level of the deck, and in some steps of the main staircase, window frames and doors. 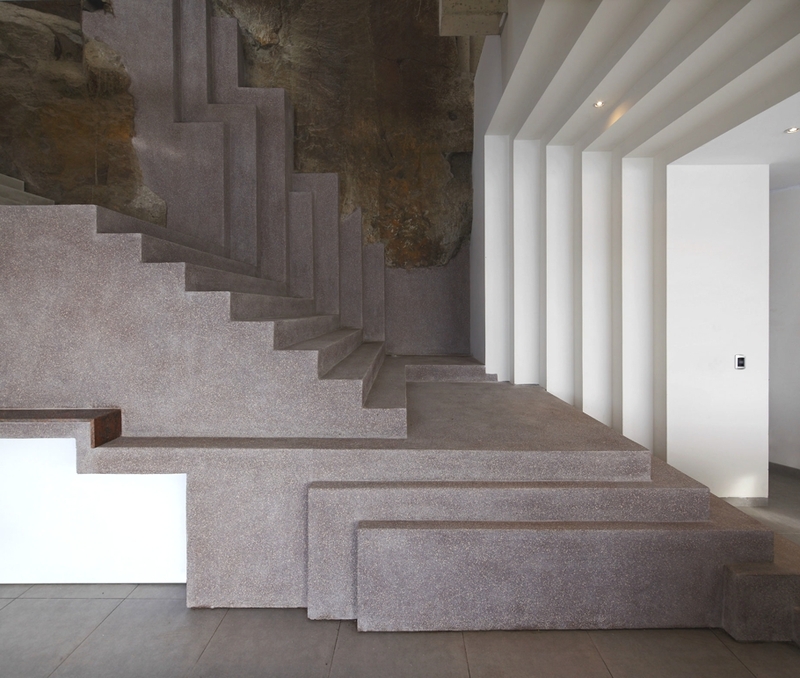 Bali-based design studio PT Green Design have completed the Biasa Shop project. 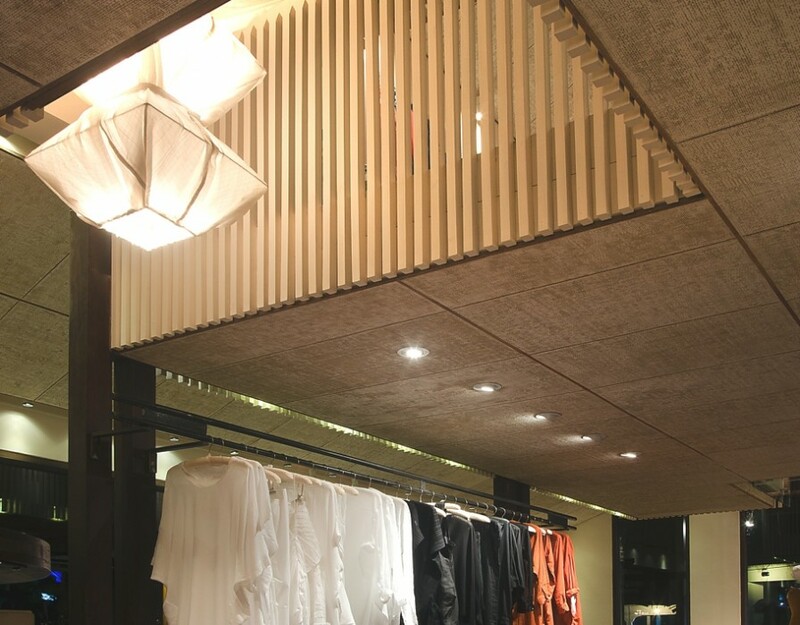 The contemporary retail outlet can be found in Sanur, Bali, Indonesia. 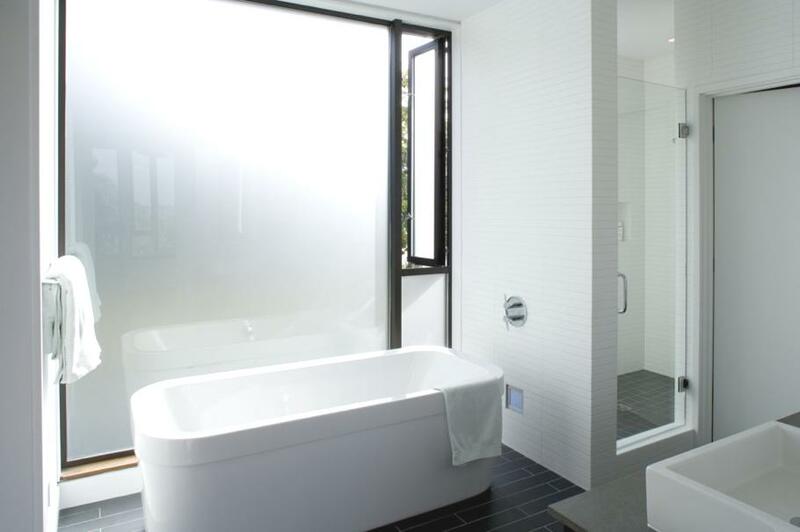 COOP15 a Washington-based design studio have completed this contemporary home in the Seattle, Washington, USA.